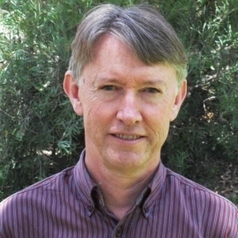 David Pannell is Professor and Head of the School of Agricultural and Resource Economics at the University of Western Australia, Director of the Centre for Environmental Economics and Policy, and an ARC Federation Fellow (2007-2012). He has been a regular commentator on environmental policy within Australia, arguing for policies that better reflect scientific, economic and social realities. He was President of the Australian Agricultural and Resource Economics Society in 2000, a member of the WA Government’s Salinity Taskforce in 2001, and a director on the Board of Land and Water Australia 2002-05. His research includes the economics of land and water conservation; environmental policy; farmer adoption of land conservation practices; risk management; and economics of farming systems. His research has been published in six books and 200 journal articles and book chapters, and has been recognised with awards from the USA, Australia, Canada and the UK, including the 2009 ARC Eureka Prize for Interdisciplinary Research.